Built for Reliability and Scalability. Windows Server 2008 R2 Enterprise provides unprecedented levels of system uptime, the latest security advances, and the scalability to support the growth of mission-critical applications. It also provides a cost-effective way to realize the benefits of virtualization. Providing uninterrupted business services to employees, vendors, and partners around the clock has become a critical business factor for global businesses. Remote employees and international customers and partners need to have continuous access to systems and data. A disruption in services can result in diminished productivity and lost opportunities. Windows Server 2008 R2 Enterprise provides high availability for mission-critical applications such as databases, messaging systems, and file and print services through such features as failover clustering, Server Core, fault-tolerant memory synchronization, and cross-file replication (DFS-R). Windows Server 2008 R2 Enterprise offers robust, rapid failover clustering that is easy to set up and manage. The multiple servers (or nodes) in a failover cluster remain in constant communication; if a node becomes unavailable (due to failure or planned maintenance, for example), another node immediately begins providing the service. Users’ access continues, uninterrupted. - Dynamic failover for both planned and unplanned server downtime. - Scalability by adding nodes as your needs increase. - Geographically dispersed clustering for even more disaster-tolerant clusters. High availability is also about avoiding downtime before it occurs. 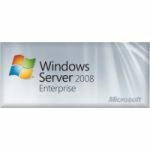 Windows Server 2008 R2 Enterprise enables you to take advantage of Server Core, a minimal installation of Windows Server 2008. With Server Core, you can remove the functions and drivers that are nonessential to your workloads, leaving only the necessary subsystems required for the supported server roles. This capability provides you with a more reliable, secure server that is optimized for running the most demanding applications and services, and that requires less patching and servicing. Windows Server 2008 R2 Enterprise provides fault-tolerant memory synchronization, which lets systems request that the operating system copy a current instance of Windows to another system. The two identical memory images can then operate in lock step, providing complete hardware fault tolerance (similar to RAID 1 mirroring for hard drives). Windows Server 2008 R2 Enterprise features cross-file replication, which can scan a group of files and replicate a single section of data to several files. By replicating similar files only once, cross-file replication can result in significant reduction in replication traffic across your network. Many organizations find that patch management, resource utilization, maintenance costs, and server sprawl are among their biggest challenges. Server virtualization technology can aid in meeting all of these challenges and lets you consolidate your resources and realize significant infrastructure and management cost savings. Windows Server 2008 R2 Enterprise provides an ideal platform for enterprise-scale virtualization through Hyper-V, a flexible, high-performance virtualization technology. - Logically consolidating servers and streamlining management. - Reducing the costs associated with power, cooling, and data center space. - Using virtual machines for high availability, further reducing server sprawl. Further advantages can be gained by utilizing Live Migration, a new cluster functionality in Windows Server 2008 R2 Enterprise that gives you greater control over your virtual machine environment. If a host server requires scheduled or unscheduled downtime, another server is ready to seamlessly begin hosting the virtual machines. As people access information from increasingly heterogeneous environments, devices, and systems, there is a constant need not only to securely make information available, but also to increase productivity. IT infrastructures must remain flexible and scalable to help support, manage, and secure expanded functionality, an influx of additional users and locations, and increasingly robust applications. Windows Server 2008 R2 Enterprise provides the headroom to meet spikes in demand for business-critical applications, enabling you to maintain or increase productivity as your mobile workforce expands. - Support for up to eight x64 sockets to handle peak demands. - Memory capacity of 2 terabytes to support resource-intensive applications. - Support for an unlimited number of virtual private network (VPN) connections. - Authentication and authorization for an unlimited number of network access service and network policy server connections. - Virtually unlimited Remote Services Gateway connections. 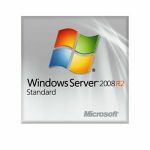 Windows Server 2008 R2 Enterprise also enhances scalability through Hot Add Memory, a feature that enables banks of memory to be added to a computer and made instantly available to the operating system and applications as part of the normal memory pool without rebooting. Windows Server 2008 R2 Enterprise delivers advanced identity and access management with features that productively secure remote access to keep people productive while securely managing the flow of data in a security-enhanced environment. The authentication architecture in Windows Server 2008 R2 Enterprise helps you guard against malicious software attacks and helps prevent data and confidential information from being distributed inappropriately. - Provide federated access to internal resources for external users through Active Directory Federation Services (AD FS). - Improve security features and more easily ensure regulatory and privacy compliance with Advanced Certificate Services. - Gather more audit detail for management and compliance with Active Directory Domain Services (AD DS).